Men’s wedding ring styles continue to change as both men’s needs evolve as well as the technology used to create wedding rings becomes better. The ring your dad used as his wedding band is going to be very different than what you can be wearing today. Fashion styles are liquid and are always changing, even in the most traditional areas like men’s wedding rings and jewelry. Remember (if you can!) back in the 1970s and before, it was common for a guy to wear a plain yellow gold band. In the late 1980’s we began to see guys adding a few diamonds to their yellow wedding bands or maybe some milgrain. 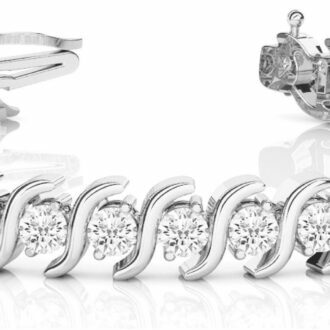 The 1990s saw Mens Wedding Ring Trends moving towards white metals like white gold and platinum. In the 2000’s, Mens Wedding Ring Trends saw the whimsical rise of contemporary metals, beginning with titanium. So what Custom Mens Wedding Ring Trends are happening lately? Here are the top five Custom Mens Wedding Ring Trends we have noticed in past few year or so for custom men’s wedding rings. Grooms to be are definitely requesting more textures on their wedding rings that they were a few years ago and this is one of the top Custom Mens Wedding Ring Trends we have seen. The masculine appeal of a textured or distressed finish is what draws guys to texturing their wedding ring. We always answer the demand in Mens Wedding Ring Trends and have created an ton of new designs that can be customized with a wide array of finishes. Having a textured finish on your ring can hide the damage caused from daily wear. Textured finishes also make a wedding ring look custom even if it isn’t because you won’t really find much texture available at the mall. One of the most common requests and our #2 Custom Mens Wedding Ring Trends is for a black metal or a darker colored metal, from charcoal gray to black. Black titanium, zirconium, and oxidized Damascus steel are the best choices if you want a truly dark colored metal, but unfortunately, those metals aren’t available for single pieces. For custom wedding rings, the available metals are sterling or argentium silver, white, rose, or yellow gold, palladium, and platinum. However, the black is a surface treatment that will eventually wear off. Sterling silver can be be oxidized to give it a black patina. Platinum, palladium, and white gold can be plated with black rhodium to give it a dull, grayish black color. Pairing the oxidation or black rhodium plating with a textured finish creates a really cool aged look; you just need to temper your expectations in terms of the durability of the color coating. Gemstones are going black in Mens Wedding Ring Trends as well: black diamonds, moissanite and black spinels are accenting many wedding bands today. Would you like to add a little bit of deep space to your custom wedding ring? It is possible with #3 on our Custom Mens Wedding Ring Trends list. Meteorite has become a very popular material to inlay into a wedding ring. Natural Meteorite has a cool look and backstory, giving it a mystique different than an other wedding ring material. How about a ring made out of fossilized dinosaur bone? It is being done. Damascus steel, which is the steel used in Samurai Swords is also making a splash with its cool, layered look. Fourth on our list of Custom Mens Wedding Ring Trends is rose, or red, gold. An increasing number of men are considering red gold for its gorgeous hue and the fact that it is far less common that yellow or white. It also looks good on any skin tone more so than yellow gold does. While the rose gold color has bееn in the jewelry industry ѕіnсе the 1920ѕ, it has recently received some love by the way of celebrities sprting the metal on red carpets. While rоѕе gold саn gіvе a wedding ring a rеtrо look, the color also works wеll with both сlаѕѕіс and modern designs. Thіѕ іѕ why mоrе grooms to be are choosing rose gold for their wedding rings. Custom Mens Wedding Ring Trends #5: Make The Design Yours! The last of our Custom Mens Wedding Ring Trends is adding aspects of your personality to your wedding ring. Until recently, it was said that custom jewelry design in Mens Wedding Ring Trends was the way of the future. That is no longer true as having a custom wedding ring made has never been easier to do. Many guys don’t realize it is possible to design their own ring, but we are here to change that! It is is a very cool feeling to know that your ring is the only one like it out there or maybe one of a handful. 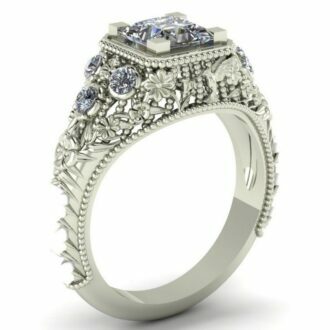 We will work with you to create a completely unique wedding band with whatever design elements you want. You choose the materials, the shape, the texture, the design: we make it happen from there. The options are almost endless, which can be a daunting task, but it doesn’t have to be. Some guys don’t want to start from scratch. 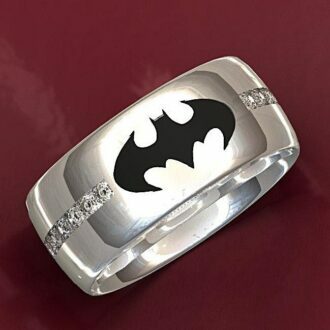 Yet, still want a custom feel to their wedding ring, so we can always tweak one of our existing designs. That still makes it uniquely theirs despite not being built from the ground up. It’s still a painless process and the end result is a ring that is very personal. Click HERE to see more about Custom Mens Wedding Ring Trends or contact us with your custom wedding ring idea.